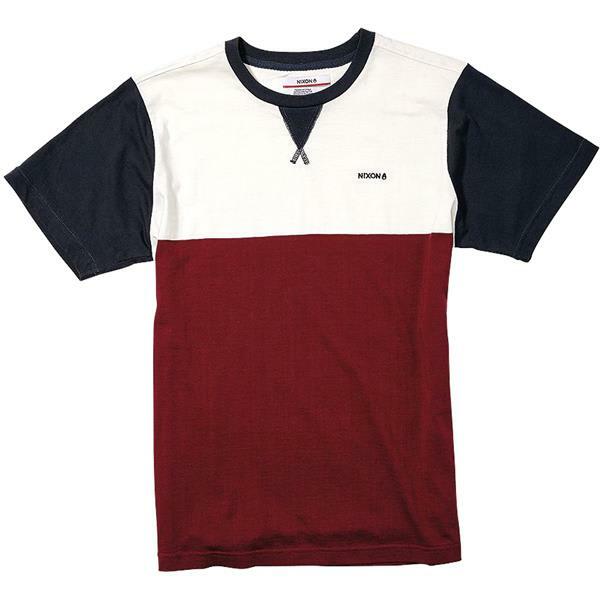 Add a touch of patriotic style to your wardrobe with the Union T-Shirt from Nixon. 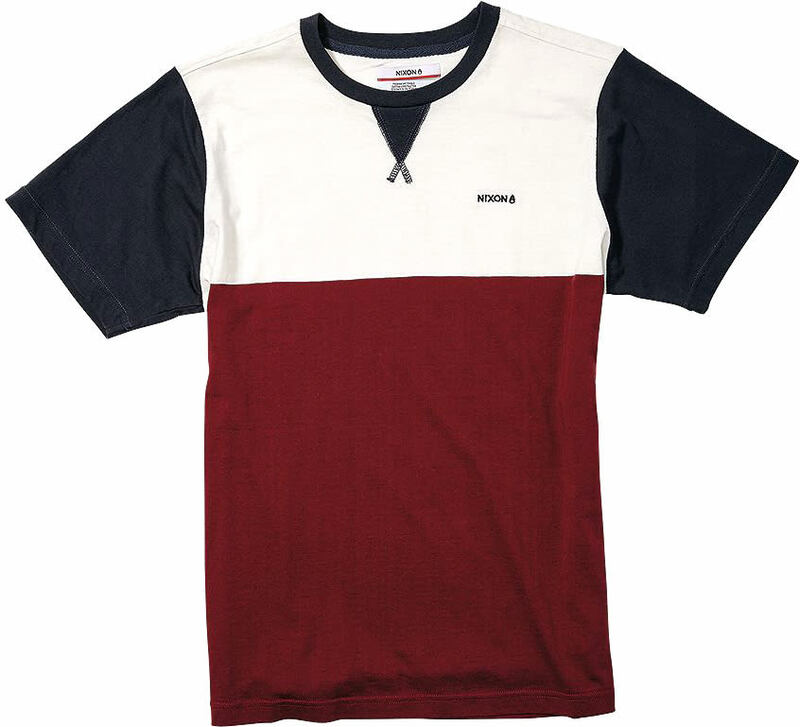 This men's t-shirt features a color block design in red, white and navy-blue for a sleek and clean outfit that will have you looking and feeling your best. A 100% cotton blend and short-sleeves provide a comfortable lightweight wear to help keep you going all season long. Pair with jeans and your favorite sneakers for a cool look that will never expire.